From the outset, White even misses the mark with the artwork, which attempts to establish the album’s strange, experimental mode. 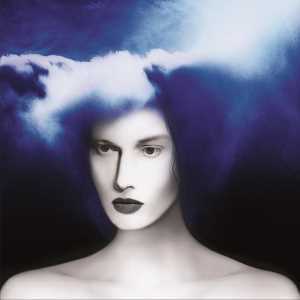 The album cover features what appears to be a semi-distorted black and white portrait of the artist with a blue ether enveloping his hair in a cloudy mass. The image evokes an androgynous Krusty the Clown rather than whatever artfully phantasmagoric self-portrait he was going for. The first song, “Connected by Love,” places White’s classic twangy voice over an aggressively overproduced electronic mish-mash of synth and bass. The song choppily switches back and forth between its meandering verse and the chorus — which sounds suspiciously like the last minute of David Bowie’s “Rock ‘n’ Roll Suicide” — before giving way to a rapid sequence of solos performed on an overblown synth, a guitar that sounds disgustingly like a synth and finally what I think is an electric organ. Most of the remaining songs on the album share this quality, as if White put less thought into the actual rhythm and melody of his songs and more into the number of buttons he could press and outlandish bells and whistles he could incorporate into it all, constantly forcing together puzzle pieces that clearly don’t fit. This is disappointingly transparent. Even his voice throughout the album betrays a sense of disinterest and disorientation, like he knows this kind of stuff isn’t for him. The zenith of his experimental absurdity comes during “Ice Station Zebra,” in which he overlays upbeat blues piano licks on droning electronic melodies before rapping. Correct, Jack White attempts to rap: “If Joe Blow says, ‘Yo, you paint like Caravaggio’ / You’ll respond, ‘No, that’s an insult, Joe / I live in a vacuum, I ain’t coppin’ no one.’” I don’t know what that means, and I won’t try to figure it out. Rather than sounding playful and invested, White just sounds lost here — as he should. I’m all for experimentation and genre blending, but this song is almost comically cringeworthy. The few high points of the album, mainly “Over and Over and Over” and “Corporation,” pleasantly recall White’s earlier work while nicely incorporating some of the aforementioned bells and whistles. The former’s fuzzy guitar riff and driving drum rhythm sound straight off of The Raconteurs’ Grammy-nominated “Consolers of the Lonely” album. Though this is the kind of catchy lead riff that White has made his name from, I can’t help but feel as though “Over and Over and Over” is a simple rehashing of his previous stuff, a formulaic “Jack White hit” thrown in to contrast with the rest of the slog. The song’s name turns out to be aptly ironic. “Corporation” features several guitar parts harmonizing in funky accord over bongo drums that actually sound good here despite their unwanted and unsuccessful appearance on what seems like every other song on the album. I call this one of the higher points but purely on a relative scale. While the song presents some sort of message concerning capitalism, its ham-handed lyrics (“Yeah, I’m thinking about starting a corporation / Who’s with me?” comprises much of the song) do little more than provide a puerile and vague attempt at satire. Jack White is an extraordinary talent who has become somewhat married to a successful yet predictable type of music. For an icon like White, it’s important to explore and discover new styles, and I commend the man for his bravery. On this album, however, he seems to have attempted to do so much exploration that he abandoned any and all creative genius with which he powered his previous works. “Boarding House Reach” is clunky, unorganized and far too indulgent in what sounds like genuinely random instruments and effects. I hope for White’s sake that the old platitude about mistakes being lessons is true. If White could only channel his previous talent and interest into his next solo project and move past this one, we’d all be better off.